Adaptocrine™ by Apex Energetics supports the body when under stress or feeling energetically spent. 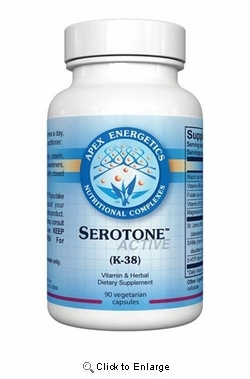 This product is designed to support both physical and mental functionality through the use of carefully selected phytonutrients and plant enzymes. Key ingredients include extracts of Panax ginseng, ashwagandha, and holy basil. It also includes high-potency antioxidant vitamin C.